1. Enter the required number of rubles to be credited to the user´s account. 2. Enter the login or email in the 4game project for automatic crediting. 3. Select the method and currency of payment. 6. Check the data and confirm the redemption of the unique code. After successful activation of the unique code, you automatically receive rubles on the balance of your wallet. 1. The balance is replenished in automatic mode for several minutes after confirmation. Time delays are permissible. 2. The minimum amount of replenishment is 10 rubles, the maximum amount is 15,000 rubles. 3. If there is a technical failure when the code is activated, you can re-activate the unique code. Find an order in the My purchases page - https://www.oplata.info/info/?lang=en-US and click the "Get item" button. 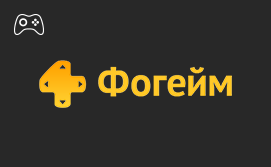 You can fund your account in 4game (Aion, Lineage, Lineage 2 Classic, Point Blank, Drakensang Online, Blade & Soul, R2 Online, RF Online) games for WebMoney, Yandex.Money, QIWI, credit card and other ways. Thank you for your positive feedback. They raise the rating, which allows to reduce the price for you!